The Ogden House on Bronson Road is open for the season, offering visitors docent-led tours of the colonial homestead. 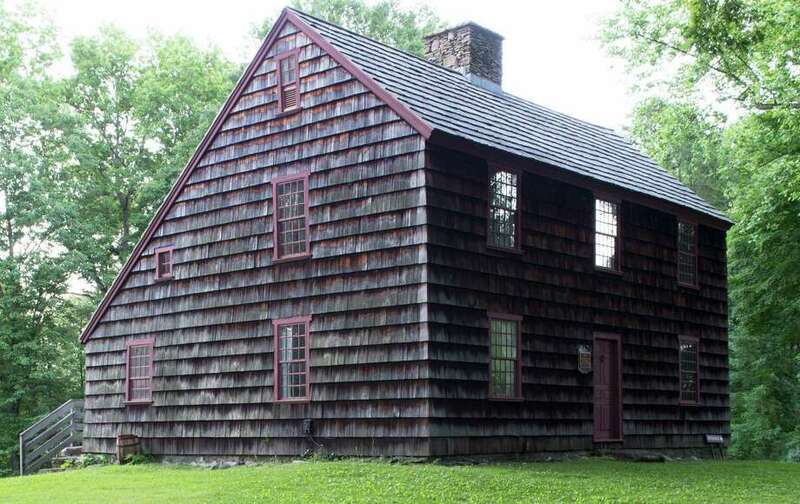 The Ogden House, dating to the mid-18th century, will open Saturday for another season of public visits a part of Connecticut Open House Day, a statewide celebration of the state's art, history and culture. The Colonial farm house at 1520 Bronson Road will be open to the public at no charge, along with other museums and cultural institutions throughout the state. The house is also open, with a $3 admission fee, every Sunday from June through September. The Ogden House is furnished with period objects, textiles and fine furniture, and features a kitchen garden with plantings used in Colonial times. The house, listed on the National Register of Historic Places, is typical of mid-18th-century farmhouses, according to information from the Fairfield Museum and History Center, which preserves and manages the property. The saltbox house provides a glimpse into the life of a middle-class Colonial family. The Ogden House was built in 1750 for David Ogden when he married Jane Sturges. For the next 125 years, it was home for the Ogden family, when Fairfield was a Colonial farming and coastal shipping town. Family documents and inventories have been carefully examined to furnish the house appropriately with objects including textiles and fine pieces of furniture from the Fairfield Museum's collections. Since 1935, the Ogden House garden, an 18th-century style kitchen garden, has been planted and maintained by the Fairfield Garden Club and features raised beds, walkways of crushed sea shells and plants and herbs typical of those used at the time. Also on view in the Ogden kitchen garden are bee hives that represent the importance of beekeeping in the Colonies. The Ogden House, 1520 Bronson Road, is open Sundays from 1 to 4 p.m. from June through September. Docent-led tours are available. Admission is $3 and Fairfield Museum members are free. For more information, visit www.FairfieldHistory.org or call 203-259-1598.